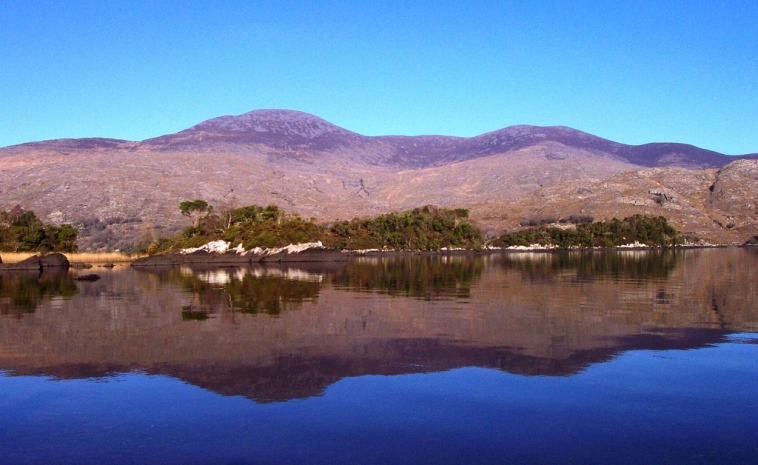 Purple and Tomies Mountains have exceptional views over the ridiculously pretty Killarney Lakes in the Killarney NP, and westward toward MacGillycuddy’s Reeks. Both are strenuous but exciting climbs, and are linked by a fine ridge. 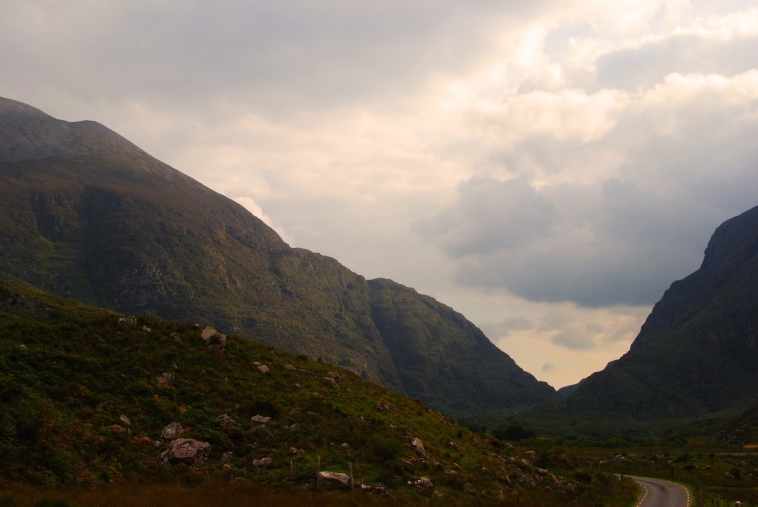 Purple Mountain to the west of the stunning Killarney Lakes is the highest peak in the Killarney NP at 832m. Tomies Mountain to its north along the same ridge is no slouch either, at 735m. 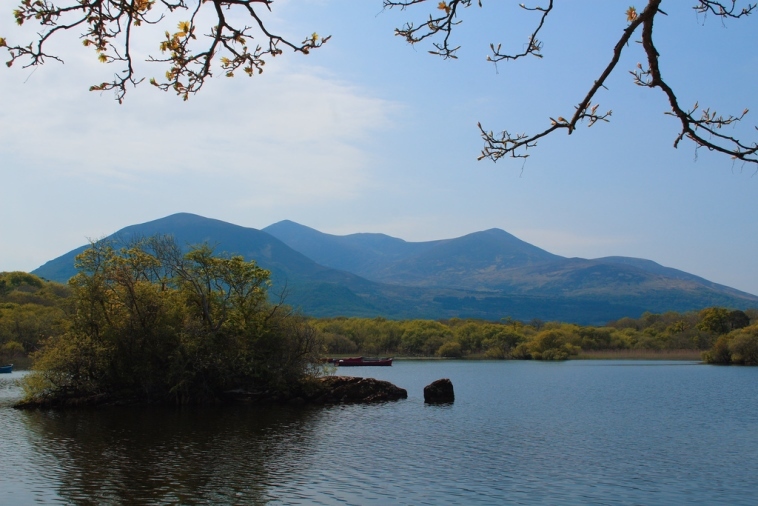 Purple has exceptional views southward over the ridiculously pretty Killarney Upper Lake and westward across the Gap of Dunloe toward MacGillycuddy’s Reeks. Tomies’ finest views are eastward over the main Killarney Lakes, although it also has similar westward views. steep scree slopes of broken rock, shattered red sandstone which has given the mountain its name. Its two peaks are connected by a narrow and very rocky ridge, which is studded with cairns and has precipitous drops either side. You will need to do some way-finding. You can walk between the two mountains along the wide ridges between them, on lesser paths and with some wayfinding needed, and can nip off if you so wish to take in Shehy Mountain to the east. Walkopedia covets this traverse. The traverse is approximately 16km and should take 6-7 hours. The ascent of Purple should take 2 hrs or so, 3.5 hrs round trip. The South-west gets a lot of rain and wind, plus cloud/fog and occasional winter snow on high ground. Take great care with wayfinding in foggy/mist/cloudy conditions, indeed the mountain isn’t much fun if you won’t be able to see! There is little shelter on the mountains, either from sun or rain. Be prepared, both mentally and with the right kit. We want to give you even more information on this walk - please send us your ideas, suggestions, experiences and photos!